This rare-find, gorgeous two-story craftsman home sits on 13 acres in the highly sought-after neighborhood of Walden Woods! With a hidden driveway to maintain privacy, this custom built home was completed in 2016 with every possible need in mind! Open floor plan with the master and another bedroom and full bath on main level and 2 bedrooms and 2 bathrooms, plus a rec room upstairs that could be made into anything you desire, upstairs! There are two staircases to the 2nd level! 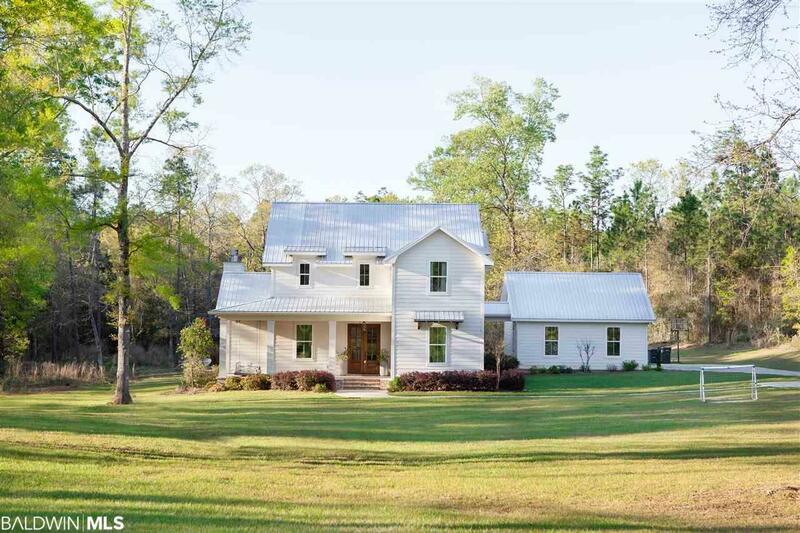 This home is equipped with soothing colors, white oak hardwood, marble and quartz countertops, upgraded appliances, a gorgeous yard, and a bed swing to relax on the front porch. Situated away from the other bedrooms, the master bedroom is a dream with a custom built closet and view of the backyard that has beautiful scenery to wake up to! This home has upgrades galore and include: Spray foam insulation, ice machine in kitchen, commercial refrigerator/freezer, tons of storage, crown molding throughout, storm proof windows on the second floor, every bedroom has it&apos;s own bathroom, custom shelving in closets, gas indoor fireplace/wood burning outside fireplace, sink/kitchen area on back porch, gas hookup for grill, and so much more! Definitely a must see! Directions: From Hwy 31 North, Turn Left On Redmond Ln, Right On Walden Ln, Left On Coyote Dr. And Home Immediately On Right.